Fri., Feb. 1, 2019, 6:13 p.m.
BOISE, Idaho – Legislation to amend Idaho state’s constitution to expand the rights of crime victims and their families will get a hearing. The Senate State Affairs Committee gave the OK for the hearing for the proposal brought before the panel Friday. The proposal would change Idaho’s 1994 Victim Rights Amendment by requiring victims to be timely notified of court proceedings involving suspects, as well as allowing victims to be heard during the legal process. Similar proposals have failed in the Legislature in previous years. If approved, it could cost counties and local governments across Idaho up to $550,000 annually. 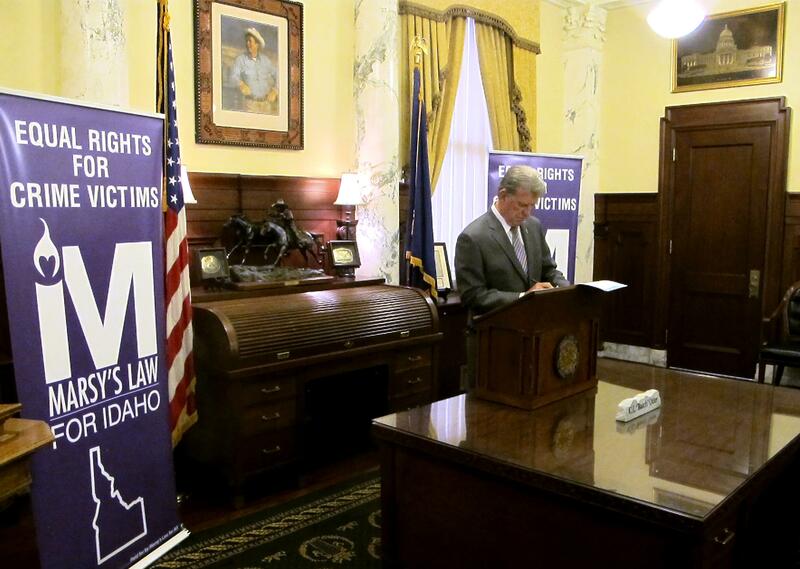 The amendment, dubbed Marsy’s Law for Idaho, is named for a California woman killed in 1983 by her ex-boyfriend after he was released from jail without her being notified. Published: Feb. 1, 2019, 6:13 p.m.